If you're a follower of my blog - than you know one of my current favorite techniques is Marker Water Coloring from the 06/08 TJNL. 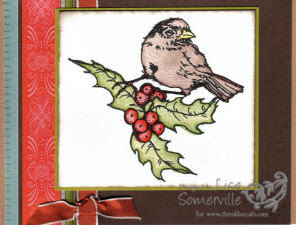 Here's a few cards using the Winter Bird from The Rubber Cafe and the Marker Water Coloring Technique. I hope they inspire you to get started on your Holiday cards. 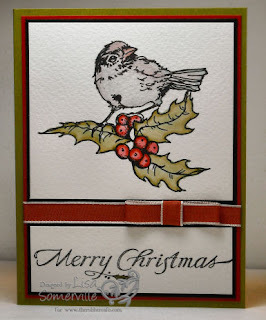 Be sure to stop by Pat's Blog and see what the other Design Team members created today. These are so pretty Lisa! Love the birdies. They make such pretty cards. Thanks for sharing.